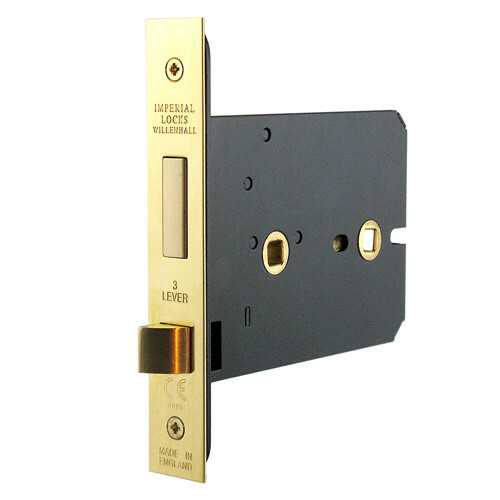 A superior quality, British made Horizontal Mortice Privacy Lock providing keyless locking of bathroom and toilet doors and an excellent choice for both high quality residential and heavy use commercial applications. Particularly suitable for door knobs and ring handle furniture due to the deep handle backset measurement and light sprung two-way action. 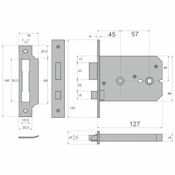 The latchbolt is reversible on site to suit left or right hand hung doors. Can be fitted to fire rated timber door sets in accordance with current regulations. Privacy locks should normally be used with an internal thumbturn plus an external release to allow operation of the deadbolt in an emergency. 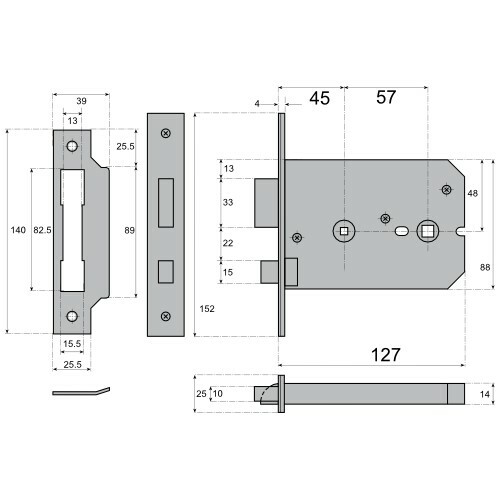 This lock is suitable for "turn and release" sets incorporating an 8mm spindle as standard. For turn and release sets with a 5mm spindle please select the relevant option from the drop down list above.